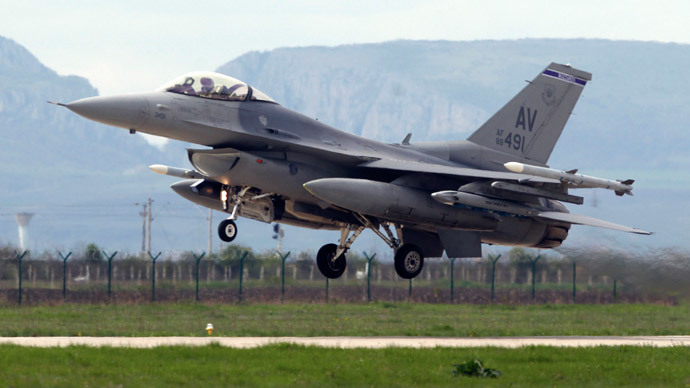 US military aircraft have conducted an airstrike on artillery used by the forces of the Islamic State (formerly ISIS). Rear Admiral John Kirby said the attack took place to help defend Kurdish forces near Erbil, Iraq. 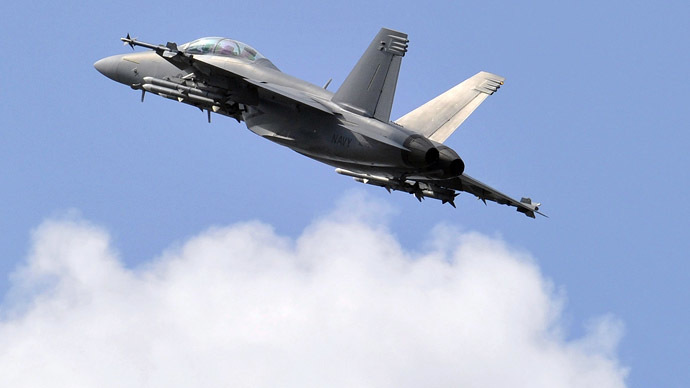 Two F/A-18 aircraft dropped 500-pound laser-guided bombs on a mobile artillery piece near the city of Erbil. US personnel are based in the city. "The decision to strike was made by the US Central Command commander under authorization granted him by the commander in chief," Rear Admiral John Kirby, a spokesman for the Pentagon, said. The US has also begun dropping relief supplies to the refugees. Meanwhile, the United Nations says it is working to try and open a humanitarian corridor in northern Iraq to allow those citizens who are trapped the opportunity to get to safety. Food aid was also delivered to the Yazidis people, who were suffering from a lack of food and dehydration. "Now that air drops have started, the UN in Iraq is urgently preparing a humanitarian corridor to allow those in need to flee the areas under threat," the top UN envoy in Iraq, Nickolay Mladenov, said in a statement. US President Barack Obama announced on Thursday that he had authorized the use of force against the Islamic State [IS], in Iraq if necessary – to help protect Christians and Yazidis, an ethnic Kurdish minority in northern Iraq. “Today, America is coming to help,” Obama said, noting that although the United States “cannot and should not” intervene every time there’s a crisis in the world, it must act when innocent people are facing violence on a horrific scale. Around 40,000 Yazidis - members of the Kurdish community whose religious beliefs are a mix of ancient Zoroastrianism, Islam, and Christianity - sought refuge on Mount Sinjar last weekend after Islamic State fighters continued their march toward the Kurdish power center of Erbil. Iraqi officials say more than 500 men were killed by the Al-Qaeda offshoot, and that around 70 children have died since the Yazidis sought refuge on Sinjar. "I therefore authorized targeted airstrikes, if necessary, to help forces in Iraq as they fight to break the siege at Mount Sinjar and protect the civilians trapped there," US President Obama said. "We can act carefully and responsibly to prevent a potential act of genocide." “When we face a situation like we do on that mountain, with innocent people facing the prospect of violence on a horrific scale, when we have a mandate to help...and when we have the unique capabilities to avert a massacre, then I believe the United States of America cannot turn a blind eye,” Obama added. The White House said Friday that the limited US military action in Iraq could be extended to include more support to Iraqi security forces working to repel Islamic State fighters when the country forms a new “inclusive” government. White House spokesman Josh Earnest said that US military support will not be “prolonged” and will be “related to our belief and commitment to supporting integrated Iraqi security forces and Kurdish security forces as they unite the country to repel the threat” from IS militants. 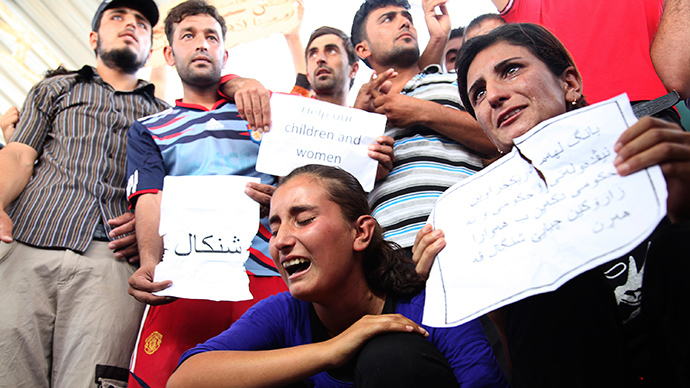 UN officials said around 200,000 new refugees are seeking sanctuary in the Kurdish north from Islamic State forces. The Sunni militant group said in a statement that it had made more than a dozen military gains over the past five days. The IS has also claimed it now controls the Mosul Dam, the largest hydroelectric dam in Iraq. The ruthless Jihadist group is reportedly targeting any ethnic and religious minorities - including Shabaks, Turkmens, Yazidis, and Christians - that refuse to bend to its strict brand of Islam. 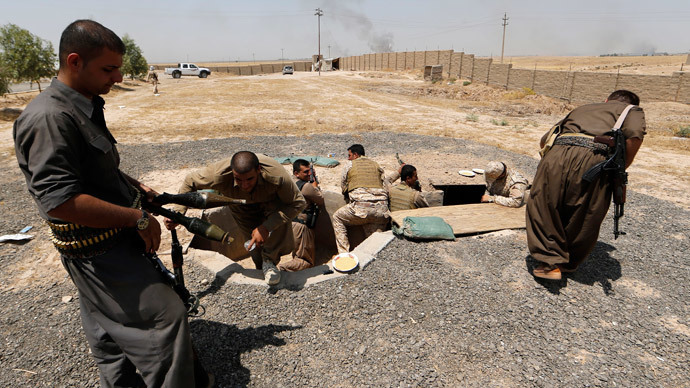 The Sunni militants swept through northern and central Iraq in mid-June, sending government troops fleeing. They managed to seize the cities of Mosul and Tikrit with an estimated 7,000- strong force. They marched towards the capital Baghdad, only being halted near Muqdadiya, just 80km (50 miles) from Baghdad's city limits. The Islamic State grew out of the Syrian civil war. They were able to gain strength after getting their hands on weapons supplied by the US and its allies intended for rebel groups fighting against Bashar Assad’s government. Brian Becker, an anti-war campaigner with the Answer coalition says that the United States and its allies must take some of the blame for the rise of the Islamic State in Iraq and Syria. "It was the intervention of the United States in Iraq and the US and its partners in Syria, which laid the groundwork for the ISIS organization to develop. In 2010-2011, remember they said they carried out six actions in the whole year," he said. "They were practically defunct until the United States and its allies supported the armed opposition inside Syria and gave an opportunity to this organization to develop and come back into Iraq," Becker concluded.